The Education Ministry plans to begin offering seven new vocational study programmes this year to advance the government's national development strategies. It will unveil courses in the rail transport system, aircraft mechanics, mechatronics, industrial robots, energy technology, tourism technology and logistics, said Deputy Education Minister Udom Kachintorn Thursday. Two education providers are ready to offer courses on the rail transport system, five on aircraft mechanics, one on mechatronics, six on industrial robots, four on energy technology and another six on tourism technology, he said. As for the logistics study programme, the ministry is selecting educational outlets which could offer a programme in this field, he said. The exact number will be finalised later while officers assess the institutions' capacity to teach such course. Even with the courses, the number of graduates to be produced in such fields might not be enough for the workforce, he said. The government plans to subsidise those providers chosen to offer the courses. The calculation for the amount of subsidy to be allocated is similar to that used to determine the subsidy for medical students. Apart from the subsidies, the government also plans to order the Office of the Civil Service Commission to set the salaries for graduates of such programmes should they enter the state workforce, he said. Prime Minister Prayut Chan-o-cha has stressed that the seven study courses, a pilot project, will start in the new term beginning in August. 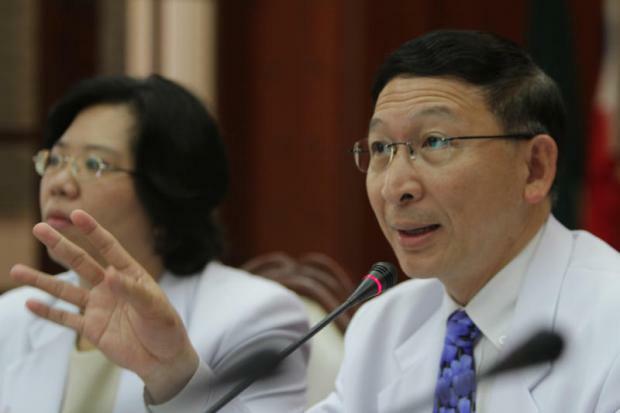 That means student applicants will be selected in the fifth round of direct admissions under the newly implemented Thai university central admission system in June. The courses will be finalised and approved by April, he said. Applicants who have work experience will be allowed to turn relevant experience into study credits. This way, they will able to complete the programmes faster, Dr Udom said.